2018 has been confirmed as another incredible year for SETsquared member companies, with a total investment raise of £292m made up of private investment and grant funding. This represents a 34% increase on the investment achieved in 2017 and continues a five-year upwards trajectory in year-on-year investment raised and cements an already pivotal year in SETsquared’s evolution, having been ranked as the Global No. 1 business incubator for a second time and launched a new scale-up programme. 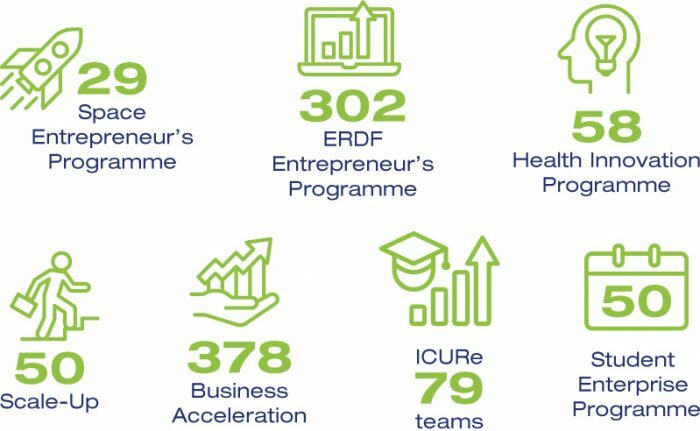 946 entrepreneurs, researchers and students participated in SETsquared programmes.